When I was growing up, Les Lye was an Ottawa institution. 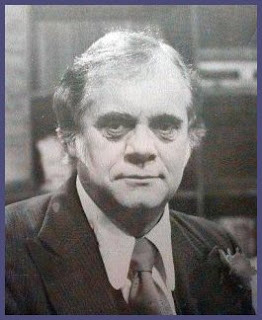 He was well-known in Ottawa for his announcing work with CFRA radio and on TV on the popular children's show, Uncle Willy and Floyd, with fellow broadcaster Bill Luxton. Outside of Ottawa, he was best known for his characters on You Can't Do That on Television. The show began in Canada in 1979 and was picked up by Nickelodeon in the US where it ran for years. I spent several years as a production coordinator with Carlton Productions, which produced YCDTOTV, and remember Les as a nice guy and a dedicated performer. Les died on Tuesday in Ottawa. He was 84. May his memory be a blessing. Posted by Morey Altman at 7/23/2009 07:10:00 p.m.